Officers were called to reports of someone attempting to steal a cash machine in Upper Beeding during the early hours of Friday morning (January 26), according to Sussex Police. A police spokesman said officers were on the scene of the BP Garage, in High Street, Upper Beeding, within five minutes of receiving a call at 2.46am. Sussex Police said officers found signs of a break-in at the rear of the premises and the incident is now under investigation. A Sussex Police spokesman said: “For forensic reasons it has not yet been possible to determine if any cash was stolen. “The intruders are thought to have fled moments before police arrived. 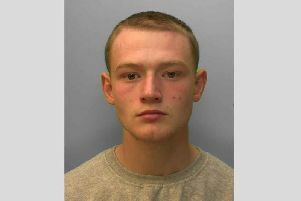 “Anyone who saw or heard anything suspicious, or who noticed vehicle movements in the area, is asked to contact Sussex Police online or phone 101, quoting serial 80 of 26/01.